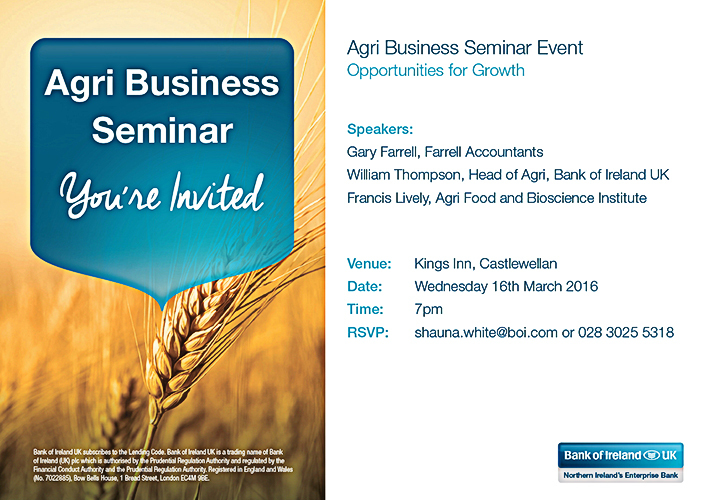 Farrell Accountants, in connection with Bank of Ireland, would like to invite you to our Agri Business Seminar on 16th March 2016. If you would like to attend or want any further information regarding the event please contact us. Looking forward to seeing you there.